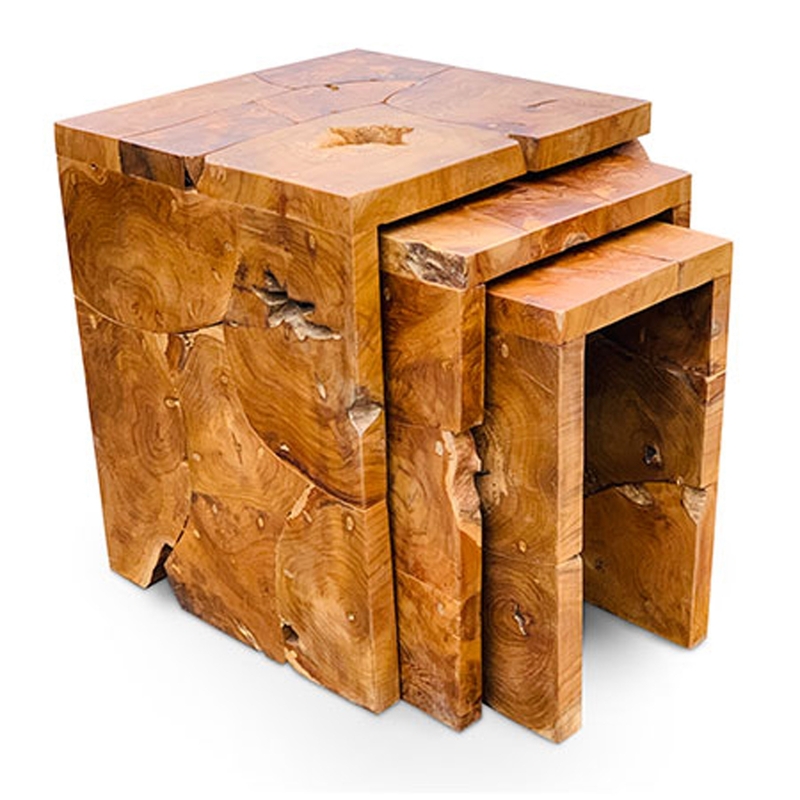 We are very proud to present the magnificent Teak Root Nest Of Three Tables. This modern nest of tables features a very original design that'll be sure to impress. This piece is created from teak root, it's then been given a rustic style to create a contemporary design.